Saniflo Macerator repairs in bromley Kent and surrounding areas. If your toilet saniflo macerator unit has stopped working or keeps starting to run on its own it’s time for a service or repair. We are experts in locating and isolating all macerator problems. Most common spare parts are carried on our van so we can carry out a repair for you. In most cases on the first visit. we can repair install or replace your saniflo macerator in Bromley Kent. There are a choice of Saniflo macerators that can be installed in the home. Particularly in the kitchen and bathroom to ease plumbing restrictions and issues. Some of the Saniflo macerators available include the Saniplus macerator waste system. Sanibest commercial macerator and Sanislim macerator waste system. Also available are a Saniwall frame system, Sanialarm water level indicator. Saniflo descaler and Sanishower shower system. All the above Saniflo systems can be installed repaired or even purchased from us. Our rate are quite simple for installation or repair of your saniflo macerator. We do not have a call out charge (where most companies do) We charge £125 for the first half hour and £89 per hour afterwards. If its a first time saniflo Macerator installation you require, you have come to the right people. We can advise you of the best route to plumb the waste, and what unit to use. 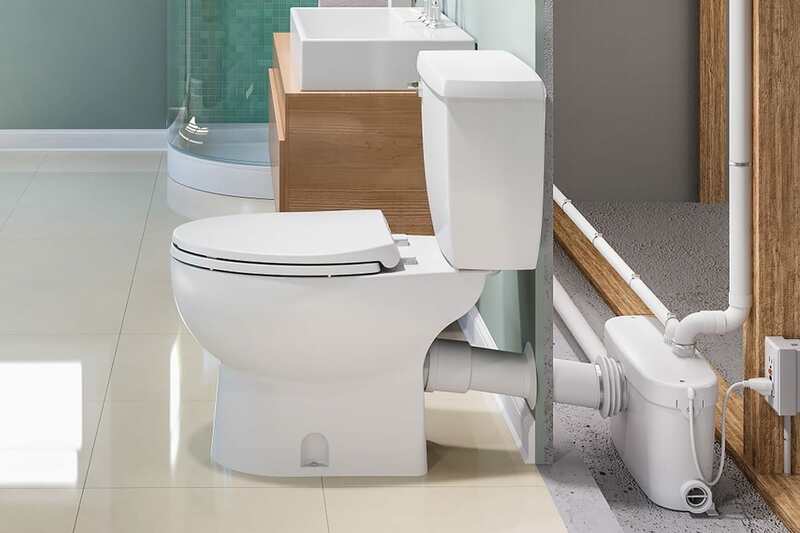 Adding a new toilet to any room in your home can seem like an impossible task. Not only is it necessary to cut floors and install complex plumbing. You’ll also have to find a way to connect your new plumbing to your current main drainpipe, which may be too far away. While you may think that adding a new bathroom to a small space will never happen, there’s an easy and affordable way to get around plumbing problems. Saniflo products are very well made and inexpensive. Guaranteed to make installing any toilet system easy. Saniflo macerators have been manufacturing upflush toilets for many years. Please call us for advice or to book a service call.